Featuring Domaine Tempier “La Courtine” 2016, Chateau Pibarnon 2010, and more! 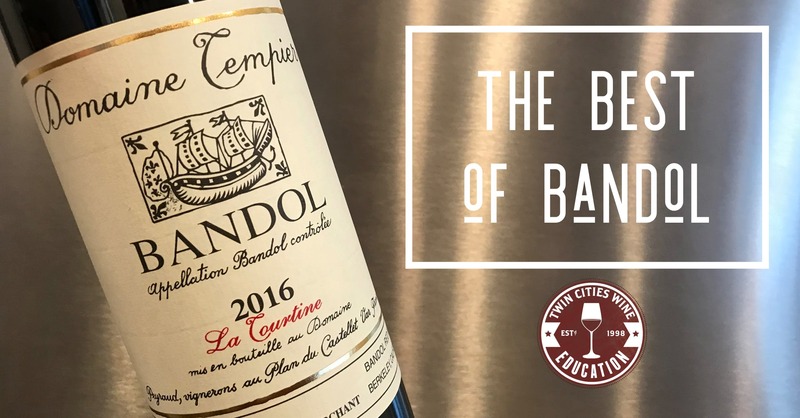 The tiny speck of land in southern France, hugging the Mediterranean Sea, called Bandol produces some of the most age-worthy and profound wines of the world. But due to the minuscule nature of the production, few wine lovers have tried them much less a range of wines side by side. Famous as the hallowed ground of the Mourvedre grape, the wines are dark, inky, rich, textural, and tannic. In this special class, we will dive deep into the Mourvedre variety, the history of Domaine Tempier, and the wonderful story of the legendary importer Kermit Lynch bringing these wines to America for the first time, many decades ago. Get ready for stained teeth, great wines, fantastic maps, and lots of learning about a very cool subject. I hope you can join us for this limited seating class.